Bhartiya Khadya Nigam now going to publish the official Notification for the most awaited vacancies of management Trainee MT and manager posts. Official notification will be publish online for the recruitment of management Trainee MT and Manager Hindi posts. Food Corporation of India FCI will invite online application form for management Trainee General / Depot / movement / Accounts / technical / Civil Engineering / mechanical engineering / electrical engineering and manager Hindi posts. These officer will be appointed its Depot and offices spread all over the India. Rs 16000 stipend will be given at the time of 6 month training. Eligibility Criteria: Max. Age As on 01/08/17) : 28 Years , and maximum 35 year for Manager Hindi posts. There is no maximum age Limit for FCI employee. Education qualification Management Trainee (General) , Depot, Movement), : graduation Degree with CA / ICWA / CS with at least 60% marks. Selection procedure : selection of the eligible candidates will be based on through the written test . Group Discussion and personal interview test for MT posts. Selection of the manager hindi posts will be based on through written test and personal interview test. Question paper pattern : question paper pattern for paper 1 will b same for Post Code A, B, C, D, E, F, G & H. Candidates applying for any ONE of the Post Code D, E, F, G& H will appear in Paper-I to be followed by Paper II. Candidates applying for Post code I will appear in Paper-III to be followed by Paper-IV . Written exam will be held on the same at all examination center . WRITTEN TEST for Paper - I & Paper - II and Paper – III & Paper IV shall be held in single sitting only so fill application form for only on posts . 120 Multiple Choice Questions of General Aptitude consisting of Reasoning, Data Analysis, Computer Awareness, General Awareness, Management and Current Affairs for the post of Management Trainees (General / Depot / Movement / Accounts / Technical / Civil Engineering / Mechanical Engineering /Electrical Engineering). III. 120 Multiple Choice Questions on Civil Engineering / Mechanical Engineering / Electrical Engineering for candidates applying for Management Trainee (Civil Engineering / Mechanical Engineering /Electrical Engineering). 120 Multiple Choice Questions on General Hindi, General English, General Awareness, General Intelligence, Computer Awareness, Management and Current Affairs for candidates applying for the Post Code I Manager (Hindi). i. Translation - 2 Passages, one each from Hindi to English and vice-versa. All those candidates who will be declared qualified for in the written examination they will be call for Group Discussion GD and personal Interview test. All questions of the written examination will be objective type and MCQ based except question paper 4 which will be held for the recruitment of manager Hindi posts . this paper will be conventional type. Negative marking or minus marking will not applicable in the FCI examination. Each question will carry 1 marks. Region, 4. Gujarat Region (includes the Union Territory of Daman & Diu and Dadra & Nagar Haveli). NORTH- EAST ZONE: 1. Arunachal Pradesh Region, 2. Assam Region, 3. Nagaland & Manipur Region, 4. NEF Region (includes the State of Mizoram, Tripura and Meghalaya). 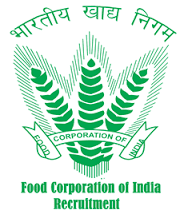 How to apply: all those candidates who hold the eligibility Criteria they can fill application form online at the official website of FCI Job Portal dot com which is www.fcijobsportal.com. You can fill application form online till the last date which is End of August. you can only apply online in one Zone either North Zone, or East Zone, Or south Zone, West Zone, or North East Zone. There is no application form fee for SC/ST PWD and Female candidates. Notification of this year will be updated here very soon. you can subscribe your emails for receiving the latest News Updated of FCI vacancies.